Daniel Warren is a highly sought-after conductor, arranger and trumpet soloist, and has conducted many of Canada’s leading orchestras. 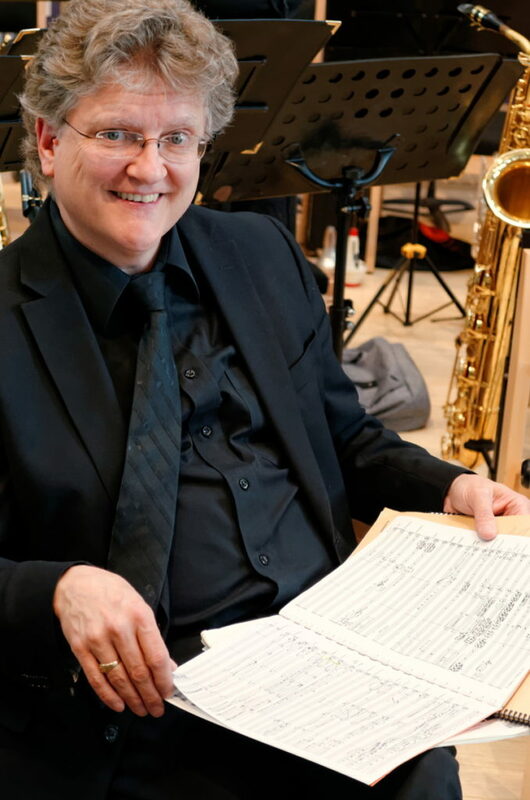 He is well-known in Kitchener-Waterloo as a member of the KW Symphony and the conductor of musical ensembles in the region. Dan leaves the WWS in order to pursue new musical opportunities. In my ten-year tenure with the Wellington Winds I have come to love and appreciate this wonderful group of musicians. I will always remember fondly the exquisite music-making, dedication and friendship of the members of, truly, one of the finest groups of its kind in Canada. It’s been a privilege and honour to be their music director. Under Dan’s expert leadership over the past ten seasons the WWS has flourished as one of Canada’s leading wind ensembles. Members of the group and our audiences appreciate Dan’s musicality, his extensive knowledge about repertoire and performance, and most of all, his humour, kindness and grace. Dan has become part of the WWS family, and we will miss him. We have been so fortunate to have had Dan Warren as our conductor and Music Director for the last ten years. He is someone who not only plays and conducts professionally, but also encourages, inspires and befriends our musicians. The artistry and musicianship he has brought to the Wellington Wind Symphony will always be remembered. We wish him and his family the very best in all their future endeavours. The Wellington Wind Symphony is undertaking a search for a new music director. More information is available here.